Ah, Cupcakes! Who really doesn’t love eating those yummy, round sweet dish that lit-up anyone’s mood? Cupcakes are a great example of culinary art and how chefs decorate them for perfect presentation is an inspiration for art designers. Cupcake has a long history that can teach us valuable lessons to perfecting the art of designing. 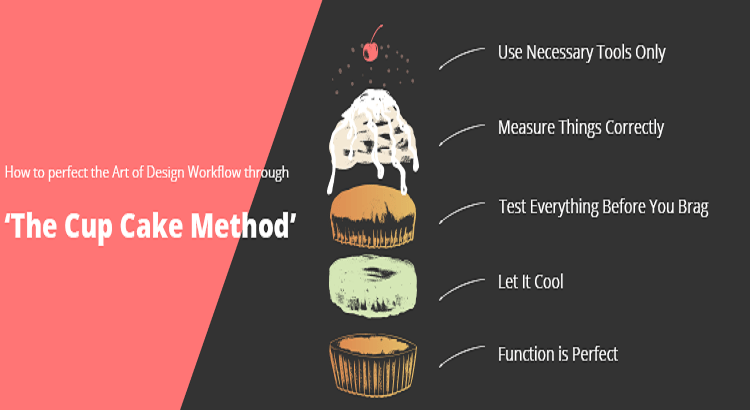 In this post, we will learn what designers can learn from the cupcakes and how they can design their workflow to show their creativity in every project. In the middle ages, priests used cupcakes to spread the word of God via: Bible, by giving free cupcakes with relevant images on it to gain attention. Hence, the marketing through cupcake is not new. It dates back to several years, when priests gained dominance through clever marketing tactics. A lot of companies still use this strategy and implement on their Cupcakes for better user engagement and attention. So next time, you come across by cupcakes having company’s logo and or a message, understand why they are giving away complimentary cupcakes or free food. Shell out money to gain attention. It’s marketing’s rule. You need to learn how to process your design in terms of communication and problem solving. If you go back in history, you will know how medieval priests used simple ways and things to spread the message. 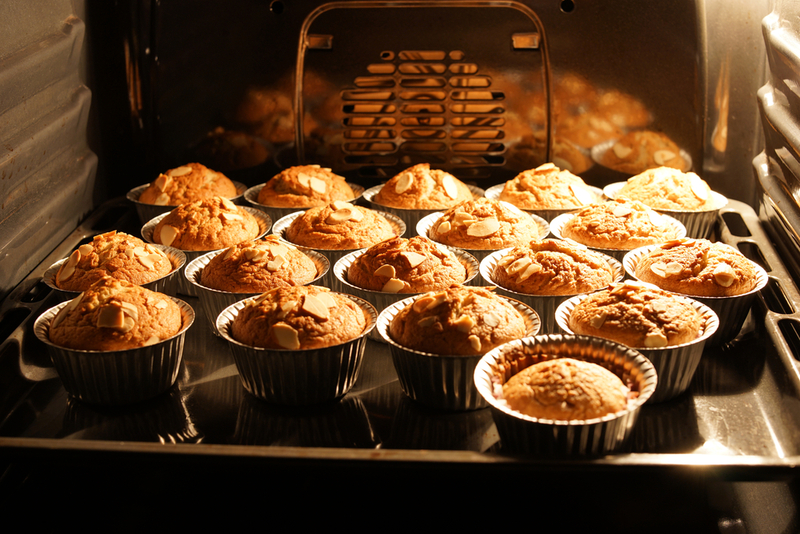 All you need is a pan, cupcake wrappers, and a bowl to blend the ingredients and to whisk them, and an oven to bake. Remember, no one loves the fat, even while doing marketing; you have to trim it to get your message across without any mist. Cupcake sounds easy to bake, but that’s not the case. Either you make them right, or botch them. Probability is 1 out of 2 because these are two cases that we are focusing, and ignoring all other cases. 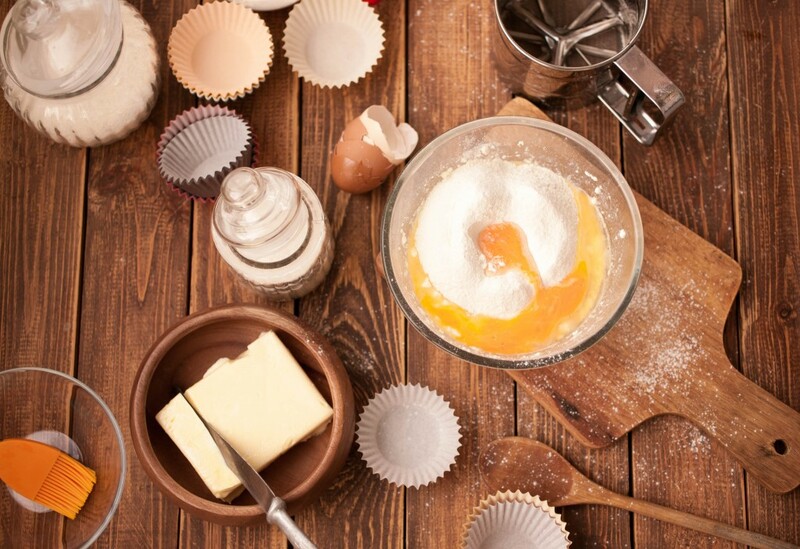 Modern baking equipment and chemicals like instant cake mixes have really made cupcake baking easy. However, if you want to try out grandma’s old-fashioned technique, then you may likely to have a hard time in doing that. The design is such like that. You can download the entire template, HD images and can use Adobe Photoshop, Illustrator or After-Effects to create a quick design that’s akin to the project’s nature. Clients, however, are paying you for your creativity. They want you to dedicate yourself to creating the project that depicts your heart and soul for the best outcome possible. Art becomes great when it involves science. Hence, when you include science in your creative impulses, you create stunning pieces of design that are just perfect like cupcakes. Not even a bit of sugar more or less. A lot of chefs follow certain rituals after calling it a day. They clean their equipment that they have used in their kitchen to make dishes. Before going home, they check if all the things are working fine. Chefs do it because they don’t want to be disappointed in the middle of important things the next day. If some problem occurs, they know they have time to replace the equipment, or if some ingredients run low; they know they can go and buy that, rather than buying right before the work starts the next morning. Hence, always test your tools beforehand. Don’t get lazy just because you have used it recently. If your client has given you a design idea or has provided you enough details to bring his vision to life; then, you can test it to find the spot, which can be improved for a better outcome. Don’t hesitate to tell this to your clients. If you have ever done cooking or have knowledge of culinary art, then you must be aware of about some common principles that every chef or cook keeps in mind. For instance; it’s impossible to frost on hot cupcakes because it will melt all over the place. It’s science, isn’t it? So, art is a science as well. You will never get flurry swirls with your frosting if the cupcake is hot. Apply similar science to your designs. Don’t rush to your clients’ inbox and start scratching your head for the design. When you hurry things, you miss a lot of things, which later on, turns to be a complete disaster. With time, you can see how the things you thought were great art the project start; can look completely wrong to your client’s solutions. 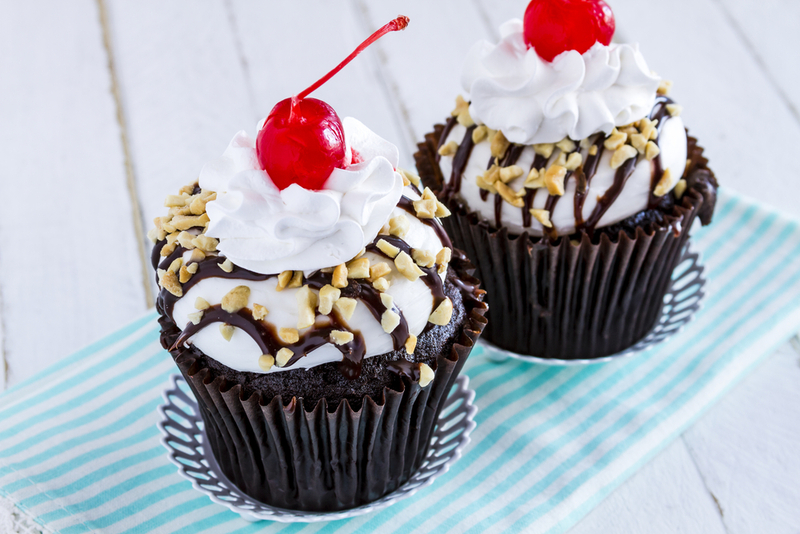 Hence, it’s a great idea to settle the theme in your mind and let it stir with all the creative elements for perfect frosting just like a cold cupcake has. If you consider art as a science, you will understand the importance of wait. You don’t have to wait for long period to wait for your muse. An hour or more can do wonders and bring out those areas to your areas to which you weren’t paying attention. A cupcake has everything in perfection. If you have been to a reputed or famous bakery, when did the last time you noticed or ate a cupcake that had extra ingredients than needed? A simple vanilla cupcake can be made interesting by adding extra things like a dash of ginger or chunks of mango. But, put so many things to make it extraordinary, you will end up making an awful dish that no one will eat. It will degrade your image and you will lose your customer and spoil your image. Similarly, if something is unimportant in your design, remove it immediately. You don’t need to add fat in your designs for the sake of adding thing because it looks nice to the eyes. Our mind is a complex structure that forgets things when we need to remember them the most. It’s a normal thing and its okay. That’ why remembering cupcake situation will help you to tweak changes in your designs and create it aesthetically amazing that adhere to your clients’ vision.